Tranquil Fruition, Calico Kai, Barefoot Lagoon,Summer Breeze, Toto Kai, Kai Time, Dream Kai, Casa Kai, Kai Kotch, Kai-lypso, Mango Ka. A Caribbean Island Vacation at one of the "Island Houses of Cayman Kai", on Grand Cayman has long been a ideal and pleasant alternative to a Hotel Room Vacation!!! 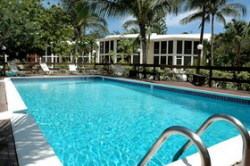 In addition to offering the highest quality vacation accommodations, I feel I have many years of experience and information to offer you about Grand Cayman and the Cayman Kai area, since I am the previous owner of "Barefoot Lagoon"-Island House, which was one of the most successful rental property in the Cayman Kai area. I know personally each owner and have been in each property that we offer. Also, we supply you with "Discount Airfare", "Discount Automobile Rentals", along with information and insight on all of the many "Thing To Do" and "Restaurants" available to our guests on Grand Cayman. We also specialize in "Wedding and Honeymoon Packages". We "DO NOT" charge the 10.00 Resort Fee per day that all hotels do!